Is Del Pacifico Paradise the right expat community for you? Del Pacifico Paradise is located in Esterillos Este on the Central Pacific Coast of Costa Rica. This gated community is 30 minutes south of the popular beach town Jaco. Del Pacifico is a 90 minute drive from the airport. Del Pacifico is a development that varies from custom houses to studio condos and residential lots. 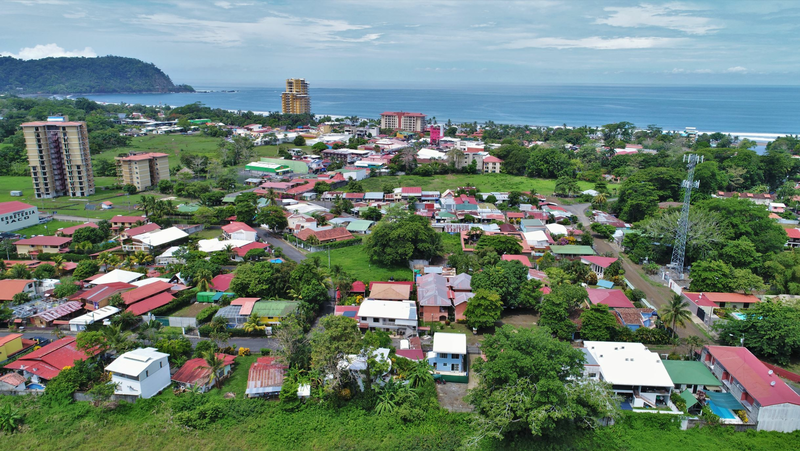 In the condo projects of Del Pacifico you find one bedroom condos, two bedroom townhouses and three bedroom condos perfect for a Costa Rican retreat. The condos feature gourmet kitchens, full laundry rooms and the living room and master bedroom open up to large verandas with a view over the mountains, rainforest or the ocean. The condos are finished with ceramic tile, bamboo, exotic wood and granite counter tops. The Del Pacifico condo projects have swimming pools with lounge chairs, parking and 24 hours security. The custom homes vary in style and size and have tropical landscaping, garden area and a private pool. They have incredible views over the green mountains and the ocean. The architects from Del Pacifico have developed several custom designs that maximize the relationship of location, structure, comfort and beauty. Del Pacifico is located in the beautiful Central Pacific Region of Costa Rica, between Esterillos and Bejuco, on one of the most famous surfing coasts in the world. Del Pacifico is set between two of the best spot-fishing ports in Latin America. 30 minutes away you find the Iguana golf course at the Los Suenos Resort. In the area you find two National Parks, Manuel Antonio and Carara Biological Reserve. Here you can go for hikes through the tropical forest and spot the wildlife that Costa Rica has to offer such as scarlet macaws, toucans, iguanas, different type of monkeys and the two-toed or three-toed sloths. All of Costa Rica’s natural charms are within reach.